LOS ANGELES—Neil Druckmann, creative director on the The Last of Us Part II, was nervous going into E3. “When you’re in it, when you’re working on something for so long you lost the forest from the trees,” he told me as we chatted at Sony’s PlayStation booth here at the LA Convention Center. He’d played through a demo of the game for a small group of reporters and was now cycling through one-on-one interviews. He’d mentioned those nerves in a tweet days before the show. 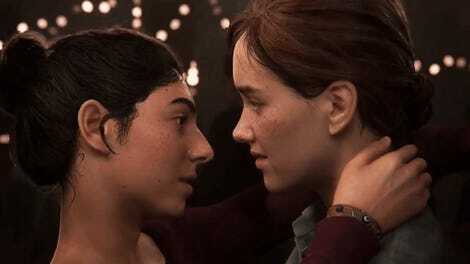 The Last Of Us Part II is one of the marquee upcoming releases for the PlayStation 4. It’s a successor to the emotional, acclaimed 2013 PS3 third-person adventure in which players guided two survivors, Joel and Ellie, west through a devastated United States. Joel took the role of father figure in the first game, but he’s been little seen in the promotion for the sequel. 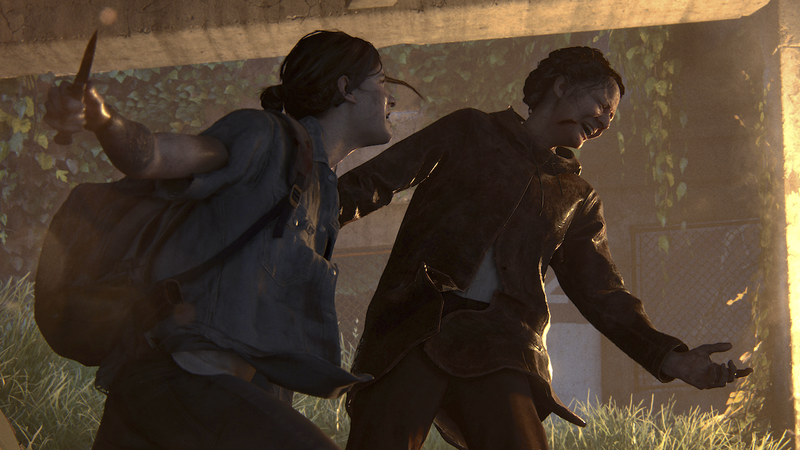 At Sunday’s E3 demo, Ellie took center stage in a harrowing fight for survival. Since the demo debuted, some people have questioned how real it was, and others have simply been wondering what it says about the new game and how it all will work. Others have recoiled from the demo’s violence, a topic, that, like the others, Druckmann tackled in conversation with me at E3. 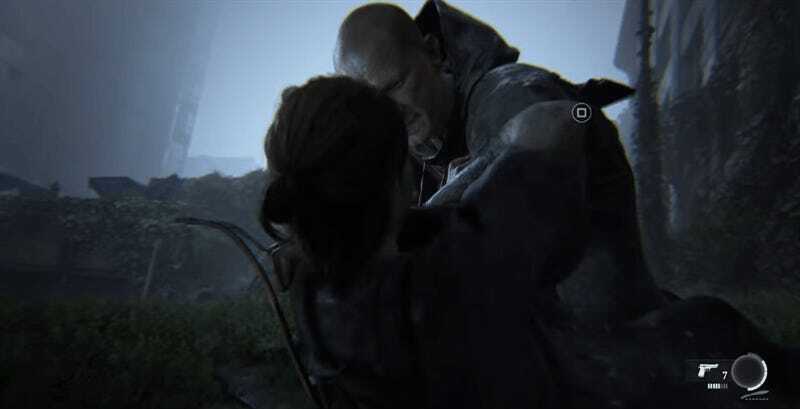 The E3 demo is bookended with a kiss between a slightly older Ellie and another woman, but the main parts involved Ellie sneaking up on and then brutally fighting a pack of human enemies. She stabs one woman through the throat, and drives a pick into a second man’s face. She hides under a car and shoots a woman point-blank in the face, before wrestling with another man on the ground and shooting him as well. She hides in the bushes as a man is hanged and disemboweled. It’s grisly. It’s impressive. It looks impossibly smooth, to the point that it’s easy to wonder how much of it is “real” gameplay. Plenty of E3 demos, after all, are enhanced with smoke and mirrors techniques. 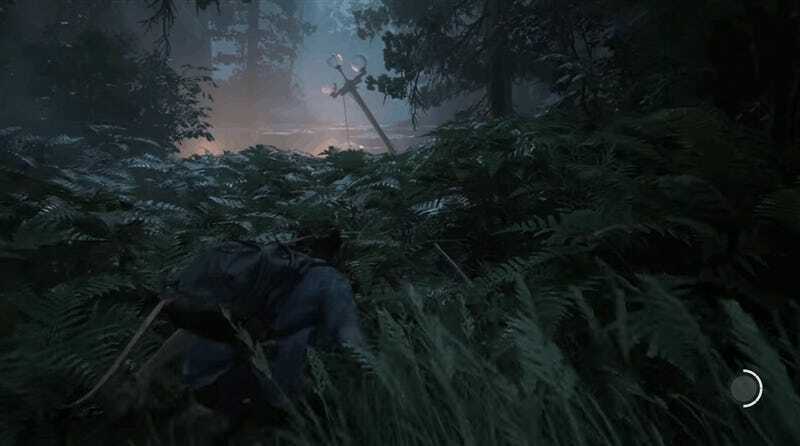 The systems shown in the demo are intended to convey how much more dangerous enemies in the new game are and how many more ways players will be able to deal with them. In the demo, he pointed out, characters whistle to alert one another bit by bit. He says you are given a window to stop the person who spots you before they alert the next person. There are some other little new systems glimpsed in the demo, he said. Characters can pick things up while running, as scene when Ellie grabs a bottle and hurls it mid-run. Characters can still grab an enemy and hold them hostage, but can now do a quick-turn to change direction. Ellie can now crawl on the ground and aim her gun from a prone position. The demo was very violent, as was the game’s trailer at Paris Games Week late last year. It’s made some critics recoil. I asked Druckmann if he’d heard that feedback and what he made of it. One person’s video game violence is another person’s video game fun. For better and at times for worse, the very essence of fun interaction in video games has deep roots in violent interaction, from the primitive days of one batch of pixels causing another to blink out of existence to modern times, when blinking an enemy out of existence often involves a gory finishing move. Fun in video games, I suggested to Druckmann, often goes hand in hand with virtual violence. “This might be a semantic argument,” he replied, “But we don’t use the word ‘fun’ with The Last Of Us. We say ‘engaging.’ It needs to be engaging. If the stakes are real, if you are invested in the character and their relationship, you’re going to go through and commit these actions that might—and should be—at times making you feel uncomfortable to progress in the story, to see what’s happened to the character and at times to struggle with their motivation versus your moral line. And on a lighter note… there was that kiss. 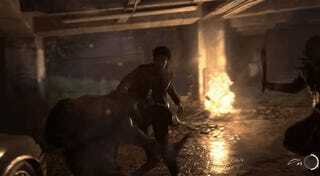 Druckmann took a stab at explaining: ““Since Uncharted 4, we’ve done facial capture. You have cameras kind of in front of your face. That means I can only get this close to a person before their camera collides with my camera.” He was gesturing a distance several inches from his face. “So we had to take the cameras off and do it old-school like we’ve done in the past and shoot reference footage and animate something from scratch. But the animators always ask, ‘Can you give us something?’ Because the face is so complex. So then we had to put the cameras back on and have them turn to the sides—Ashley [Johnson] and Shannon [Woodward]—and pretend like they’re kissing but they’re just kissing the air. And if it sounds awkward, it’s really freaking awkward there when you’re trying to give direction on the set about how they should move their faces! “But then we have like, soft mods, the way soft skin can collide with another person’s soft skin. We have joins on the nose. We have what’s called sticky lips which is how when your lips separate they don’t separate evenly, they kind of stick on the edges. 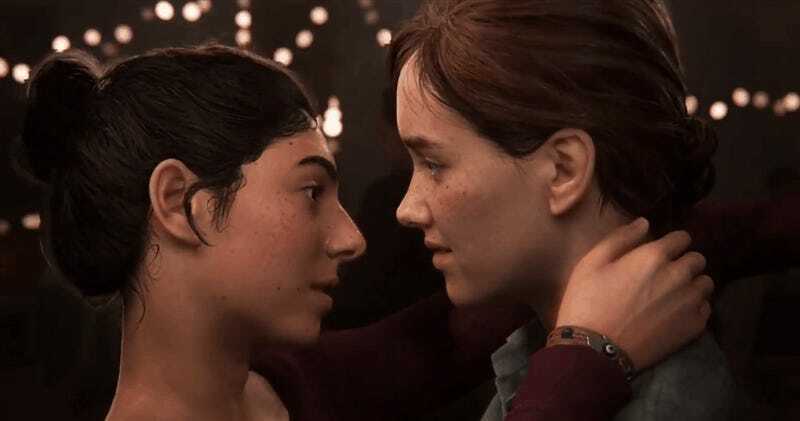 [This is] all tech developed to make our performances more subtle and allowing us to do something like a close-up kiss.” He said it allows the game’s writing to be more subtle, because it lets them include subtext that goes behind a character’s eyes. Johnson and Woodward recounted their own experiences of the mo-cap session at an E3 panel earlier today, and it does sound like it was a novel challenge. The Last of Us Part II will be out at some point in the future on PS4.